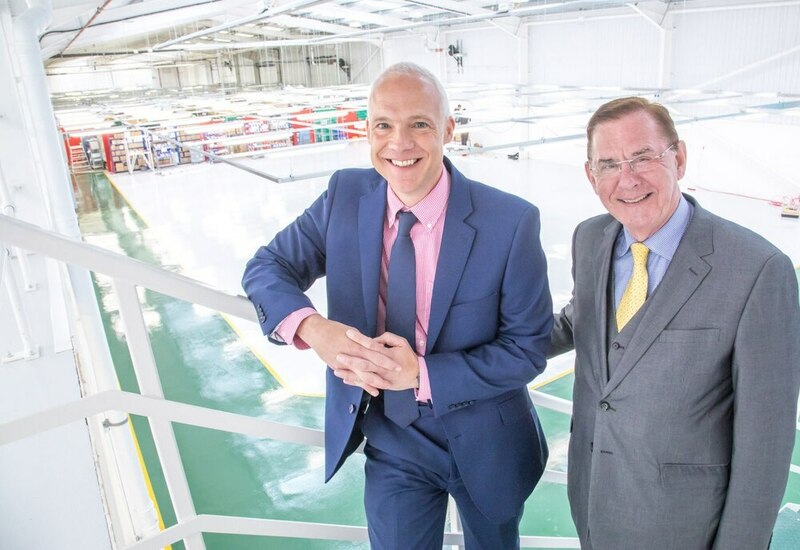 A fast-growing manufacturer is celebrating a major birthday in style after racking up more than £22 million of sales in 2017. PP Control & Automation turned 50 years-old recently and marked the occasion by securing £2m of new contracts. Located in a 55,000 sq ft facility in Cheslyn Hay, the company supplies electrical control systems, cable harnesses and sub-contract manufacturing for many of the world’s largest machinery builders. It has enjoyed a major surge in demand for outsourcing work – carrying out a range of manufacturing services for client companies – with interest coming from as far away as Iceland. It is a far cry from when the business was formed by chairman David Fox, operating from a 1,200 sq ft unit in Walsall with just a handful of staff and supplying small volume electrical controls and distribution equipment. “2017 has been a major year for us, not just in terms of our ‘big birthday’, but also in terms of laying the foundations for the next five decades,” said managing director Tony Hague. “A lot of machine builders are extremely busy with strong order books. Their current issues surround capacity constraints and increasing production and sales lead-times which in turn can result in lost orders. David Fox started PP Control & Automation after spotting an opportunity to provide a more professional panel building service to the region’s hospitals and building companies. It was originally just him, his wife doing the books in her spare time and a close band of friends who came with him after he decided to leave Simplex, a General Electric company. The first employee was Frank Cox, who still works at the business today. The early days involved supplying lots of small contracts, before a new opportunity saw the firm supplying thousands of gear trays for street lighting to be installed in Milton Keynes. Additionally, contacts that David had made over previous years led the business to doing work for Ford Motor Company in the areas of fume and dust extraction systems. David Fox said: “This was really the first example of where we started to look at supplying the big OEMs, rather than lots of small local opportunities. It really gathered pace in the mid 90s, when we landed a contract to help Mazak build machine tools…this was the major transformation point for PP and I’m proud to say we still supply the Japanese manufacturer today." He said other major milestones included appointing Tony Hague, current chief technical & information officer Ian Knight, opening a training school in 2000 and introducing the company's continuous improvement programme to drive productivity in 2015.